I was feeling ansy to bake, but was low on inspiration. That's a pretty crummy combination, but not a game-changer. 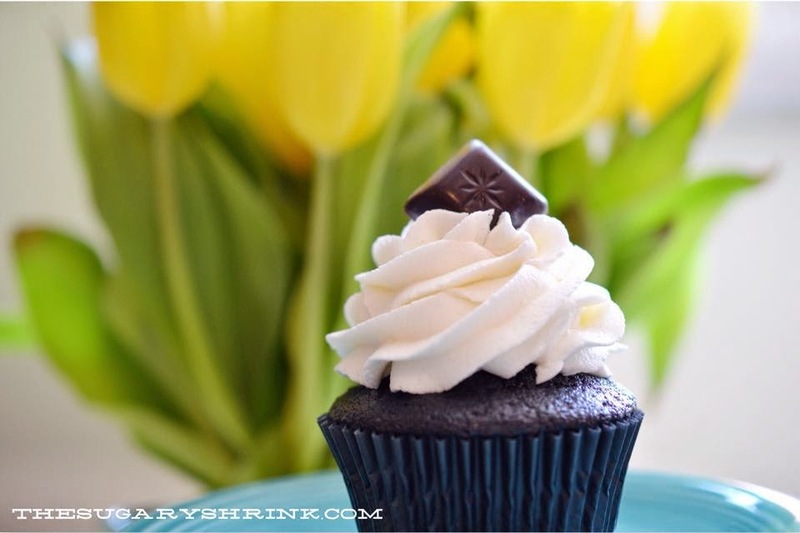 Starting with chocolate cupcakes is a pretty easy springboard into an idea. 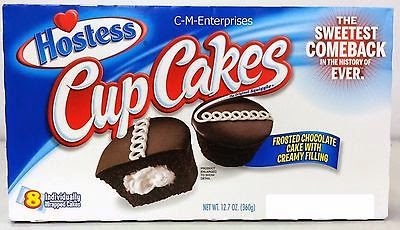 As I was thinking about chocolate cupcakes, I remembered the Hostess cupcakes of my youth. 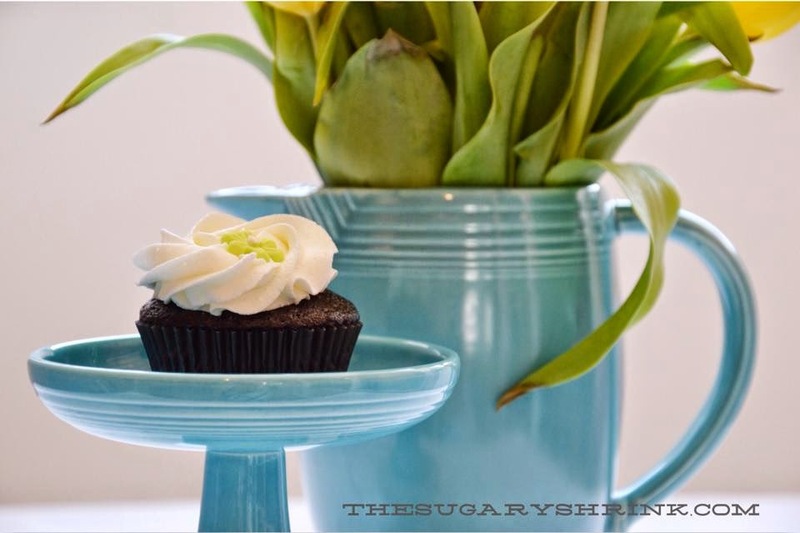 I loved these cupcakes - each was delicious and moist and mini-cakes of ooey-goey goodness. Not wanting to attempt an exact recreation, this cake is certainly an inspiration. After coring the center of the cupcakes, I whipped up a cream cheese filling (one brick of cream cheese, 2c. powdered sugar, 1t. clear vanilla). It was a perfect consistency for a luscious cupcake center. With the remaining cream cheese filling, I made the Cream Cheese Buttercream by adding 1.5 sticks of butter, 5c. powdered sugar, 2t. clear vanilla, and 2T whole milk. The buttercream behaves like traditional buttercream with amazing pipe-ability while having that nummy cream cheese flavor. I topped most cupcakes with a little piece of dark chocolate found at my local market. Before you get all excited with, "I don't like dark chocolate, it's too bitter" ... this chocolate is paired with sweet buttercream. Together, they make for a very balanced bite. I had more cupcakes than buttercream if I swirled it on really high. So, some were swirled and some were treated with a low rose pattern and dotted with a sugar flower. I love they way they look. The photo shoot can be a real wild card, but my Fiestaware makes it look fun. 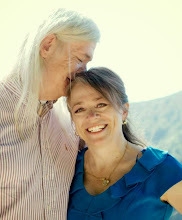 b) my life partner totally rocks.